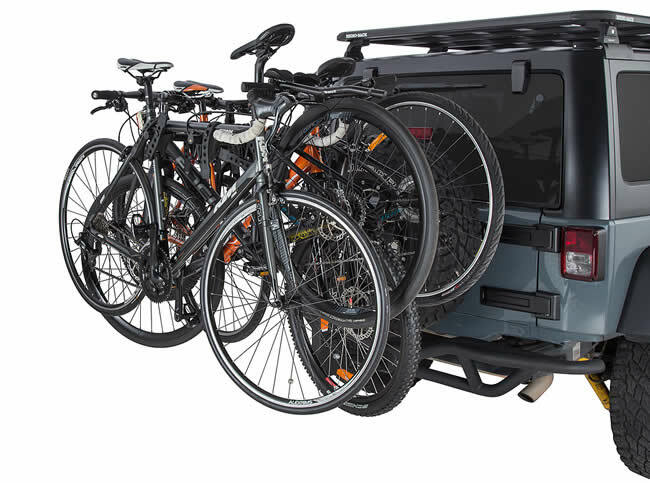 The Rhino Rack RBC051 is a very economical solution for carrying 4 bikes on vehicle with a 50mm square hitch towbar. 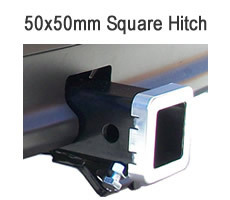 It is made from steel square tube giving it a very strong construction and a simple no-nonsense design. 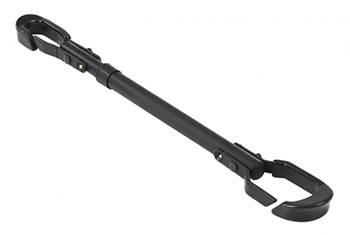 Soft rubber anti-sway cradles cushion the bike and rubber straps securely hold the bike. 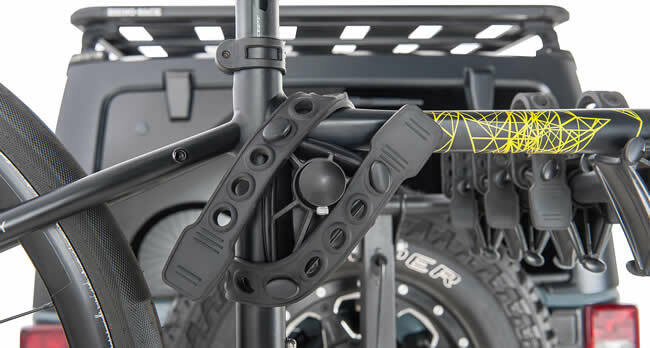 The carrier also comes with webbing straps to stop the bikes swinging around during transport. 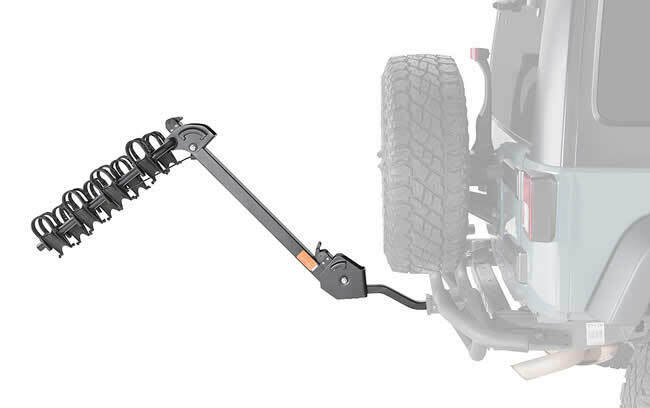 Cam lever quick release tilt to access the rear of the car. 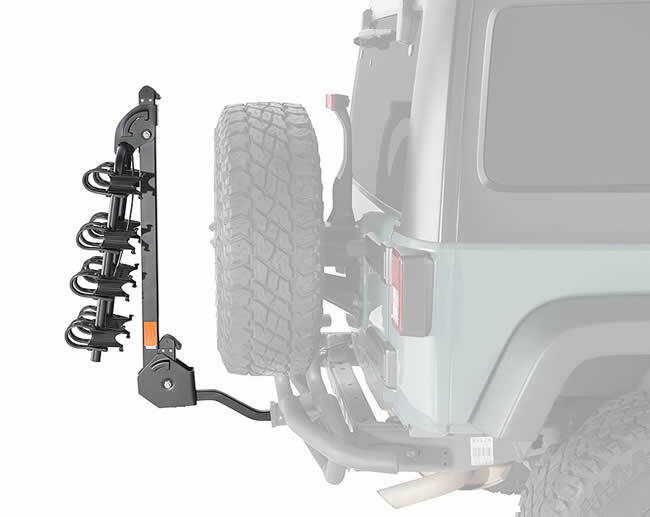 Top folds to reduce length on car when no bikes are being carried and to assist storage. Lots of clearance for vehicles with a spare wheel. 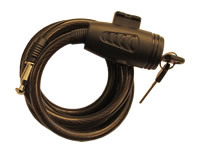 Locking cable to secure bikes to carrier. 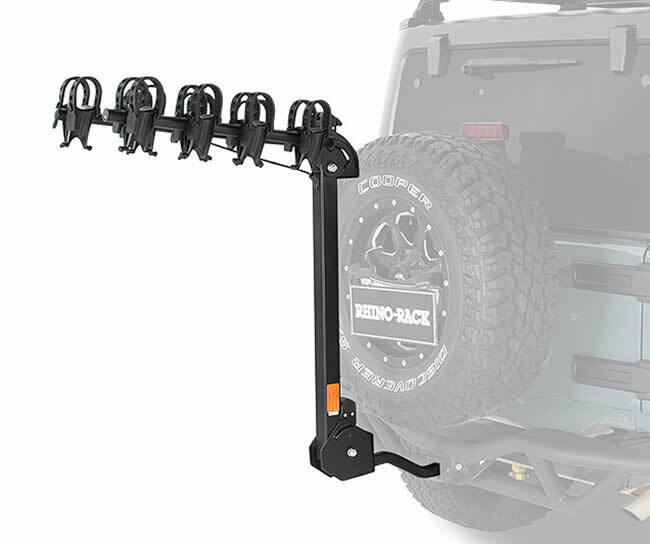 Rhino Rack have hit the mark for a no frills excellent value bike carrier with this unit. 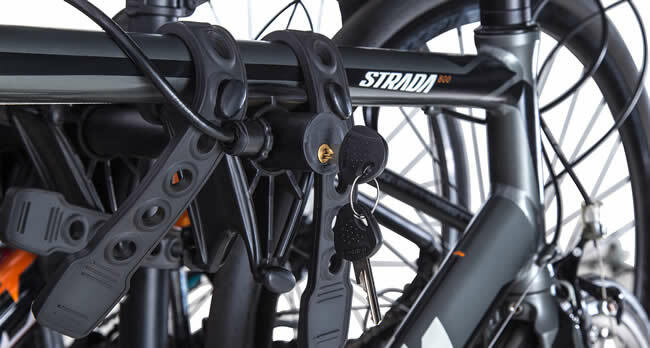 It is a strong unit and offers excellent value especially as it includes a key locking cable for the bikes and anti-sway cradles as standard. You need to provide your own 19mm socket, spanner or shifter to attach the carrier to the car which is my only real criticism.